Product marketing professional with outstanding record of achieving impossible missions with hardware and software products in medium to large enterprises.Dynamic, energetic, seasoned professional developing channel marketing programs and improving revenue and critical econometrics.Specific expertise in product lifecycle management, multiple vendor and product management, pricing strategy, product development, and product launch planning and market execution. Experienced leading matrix teams requiring high levels of collaboration with internal functions, external partners and distribution channels. Grew software solutions revenue from $0 to $8,000,000 and improving margins resulting in sustained hardware placements in a down market. 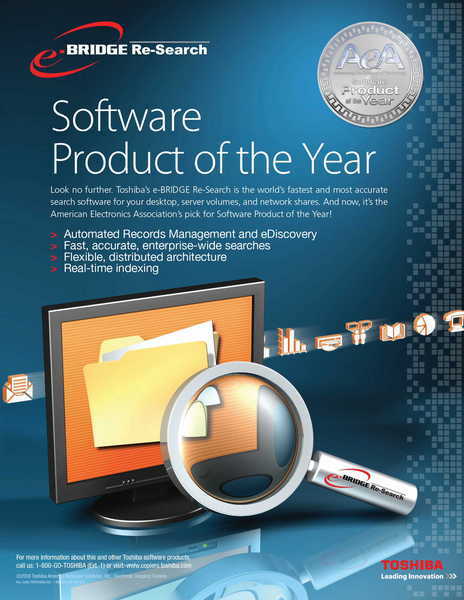 Sourced, co-developed, and launched the AeA Software Product of the Year, 2008 to capitalize on the $4.5 Billion Electronic Discovery market. Increased market share from 20 to 42%.Reduced DSO 83%; improved cash flow 30%; inventory turns 20%; refreshed the product line and increased unit sales of a financially troubled firm. Created and managed the strategic partner program for Independent Software Vendors (ISV) increasing the number of software value add products to distribution channel by 400%. Additionally, SzotSpot Marketing can help with adding electronic document mangement and archiving as well as compliance with eDiscovery orders to your business regardless of the size of your organization. We are CDIA certified by CompTIA since 2000, understand the vagaries of this strategic initiative and what it means to your business and bottom line. Sourced and managed third-party and in-house developed software programs and marketing programs that compliment company branded hardware. ØSuccessfully lead expansion of value add software solutions strategy.Increased channel partners’ market exposure by transitioning sales messaging from commodity selling to value added workflow. ØIncreased annual revenues, 100% annually for software products, doubling gross margin while hardware placements and revenue improved ahead of the industry. ØDeveloped and implemented new partner driven business alliances in sales, support and services. ØBrought to market a new software program to fulfill demand for a $4.5 billion opportunity.Awarded the AeA Software Product of the Year, 2008. ØWinner of BERTL Platinum Award for Total Solutions Provider, 2007. ØLaunched 20+ software products from desktop to enterprise applications to the channel from over 14 ISVs. ØExtensive CRM, sales training, and eLearning programs used for improved exposure and sales leads. Developed all marketing and product management activities for digital duplicator and network office appliance products. 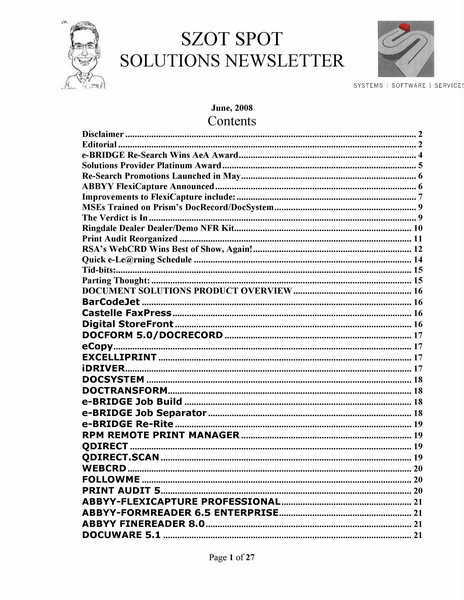 ØIntroduced, marketed, and sold the first network office appliance for workgroup document archival and retrieval. ØDeveloped and managed a team of 10 regional sales managers exceeded projected sales targets by 100%, and increased market share from 20% to 42%. ØCreated and delivered marketing and sales strategies to the wholesale sales team, distribution channel, and retrained dealer sales representatives to reposition as document workflow consultants. ØAchieved highest placement of network office appliance among three channels of distribution. ØManaged and launched all digital duplicator products and third party accessories including dual brands simultaneously. Managed all marketing, sales and collection activities for color copier product line for the direct distribution channel. ØManaged a national sales team that achieved annual sales goals in nine months including reducing inventory by 50%. Reduced Days Sales Outstanding from 170+ to 45 days. Managed all corporate product marketing and product management activities for the entire product portfolio including pricing, product selection, vendor negotiation. ØRecruited as a key member of turnaround team to reverse the company’s decreasing sales and trim a bloated product line.Successfully directed product marketing activities for copier and facsimile products (product management, purchasing, inventory planning, competitive analysis, and marketing communications). ØManaged the market introduction of all copier and facsimile products. ØAchieved corporate inventory turnover goals and reduced obsolete accessory write offs.Successfully planned purchases that met sales goals and forecasts. “Mike … quickly became my “go to” person due to his high level of reliability, creativity and ability to quickly grasp the job at hand.Mike was a key member of the team often keeping the department grounded and focused on the company’s stated goals.Mike also served as one of our key thinkers as we developed strategy.Mike was spot on with his ability to develop strategy that complimented company goals and fit within projected market and equipment trends.…I don’t often offer recommendations but in this case am happy to be able to recommend Mike.” – Todd Deluca, President and COO, RISO, Inc.